We offer periodontal bone regeneration treatment for lost bone. When is Bone Regeneration Needed? When your mouth is healthy, the teeth fit into their sockets and bone, snugly surrounded by strong connective ligaments and gum tissue. All parts work together to keep your teeth firmly held in position. Bone loss can occur for a variety of reasons but it can easily cause a domino effect where teeth are weakened and eventually lost. Dr. Perlman has the skills and knowledge in bone regeneration to provide the treatment you need. Dr. Perlman is highly skilled and experienced in advanced bone grafting procedures to regenerate lost bone. He keeps current on the latest research and advancements in bone grafting materials for effective and reliable bone growth. He also uses the latest technology for accurate and minimally invasive placement of the grafting material. Gum disease – the bone tissue and ligament surrounding the tooth is destroyed by bacterial plaque and calculus. 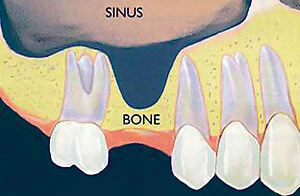 As the severity of the disease increases, the bone loss worsens until it cannot support the affected teeth. This eventually causes teeth to be lost. Missing or misaligned teeth – the bone in your jaw needs stimulation from chewing and biting to maintain its proper density and volume around your teeth. When a tooth is missing or misaligned, the lack of contact does not generate real biting pressure and the bone gradually dissolves away. Injury to the tooth – tooth injury or trauma can cause the tooth to shift or become infected. The infection spreads and causes bone loss around the tooth. Infection – an infection other than gum disease can get into the bone tissue surrounding your teeth and causes bone loss. This includes bacterial or viral infections, and tumors. Once tooth roots are no longer present, the jawbone begins to shrink. Dentures do not provide the stimulation needed to maintain bone volume. In fact, the pressure on your jaw exerted by dentures actually accelerates the rate of bone loss and wears away the ridges of bone upon which they are placed. This bone shrinkage is the reason behind the continual need to refit the dentures. Loose dentures cause sore spots, and make chewing difficult and painful. Bone loss also accounts for the gradual collapse of the bottom third of your face after you have lost all your teeth and no longer have the stimulation to keep the bone volume maintained. Bone grafting is a versatile procedure performed by Dr. Perlman to transplant biocompatible material into the space where the bone is missing. The goal of the bone graft process is to coax the body into rebuilding the bone and ligaments that attach a tooth to the jaw. The graft material itself does not actually become the new bone. It stimulates the growth of fresh bone tissue to fill up the space where the bone graft material is placed. 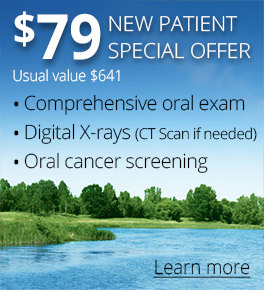 Dr. Perlman uses advanced technology to make an accurate diagnosis and treatment plan. 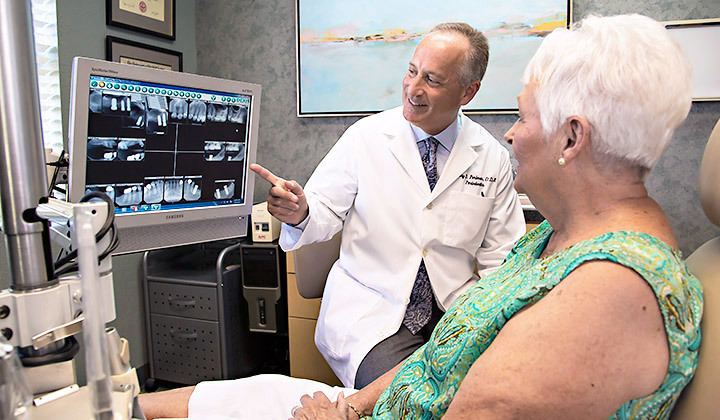 Dr. Perlman has equipped his office with state-of-the-art technology to make his bone grafting minimally invasive and highly efficient for faster healing times. The cone beam 3D CT scanner provides Dr. Perlman with a precise view of the area in need of bone grafting. It creates a 360° 3D image of your entire jaw which can be viewed from any angle and magnified to show small areas. The image shows the density and amount of bone surrounding your teeth. 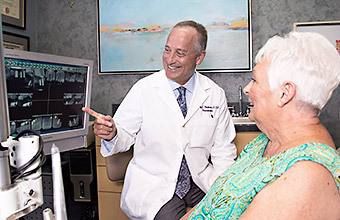 These images help Dr. Perlman plan for the bone grafting procedure. 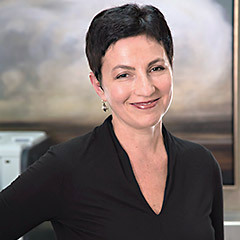 When needed, Dr. Perlman will use growth proteins to stimulate bone growth. These proteins work in the same way as human stem cells to generate new cell growth. Once placed, the protein material promotes regeneration of bone and ligaments. Dr. Perlman will place a bone graft to regenerate bone needed for tooth support, to build up the size and shape of the ridge supporting the teeth and to create a foundation for the placement of dental implants. Dr. Perlman always tries to save your natural teeth, but sometimes the tooth needs to be extracted to maintain oral health. In that case, he will undertake preventative measures to keep the portion of bone beneath the missing tooth from shrinking after the extraction. Dr. Perlman will place bone grafts in the empty socket to replace your natural bone. Over time, the grafting material will be absorbed and replaced with your natural bone. 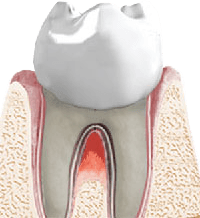 A tooth can have bone loss around it that compromises its stability and could lead to tooth loss if the lost bone is not regenerated. Dr. Perlman will graft bone material into the area of deficiency and rebuild proper tooth support. Dr. Perlman always ensures there is a strong and healthy base of bone prior to dental implant placement. He will place a bone graft at the implant site to regenerate the bone needed for the implant to be properly anchored. Often denture and bridge wearers experience loss of bone on their ridgeline of the jawbone. This will cause unsightly gaps below the prosthetics. Dr. Perlman will augment the ridge with bone grafts to return it to its former level. The regenerated bone preserves the stability and density of the ridge between the adjacent teeth, and prepares the tooth loss site for a dental implant at the same time. A regenerated ridge under a dental bridge also enhances the aesthetics of the bridge. The maxillary sinuses are cavities behind your cheeks and on top of the upper teeth. When you lose teeth in your upper arch, particularly your upper molars, bone loss occurs and the sinus cavity expands, leaving just a thin wall of bone between the sinus and mouth. Because dental implants need a solid base of bone to hold them in place, Dr. Perlman will rebuild bone depth using bone grafting procedures known as a sinus lift or sinus augmentation. A bone graft is placed under the sinus floor membrane to regenerate the bone necessary to provide support for an implant. When the sinus has collapsed into the space of a single tooth, Dr. Perlman performs a sinus lift where he raises the sinus in a localized area for a single implant. If the entire sinus floor needs to be raised, Dr. Perlman will insert graft material under the bottom membrane of the sinus. 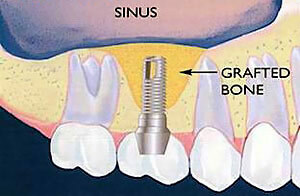 This sinus augmentation raises the floor level of the sinus and makes the bone deep enough for the dental implants.